Ahead of the presidential elections, NBC News has recreated New York's Rockefeller Center Plaza in virtual reality (VR) with a programme of debates, Q&A sessions and political comedy events. 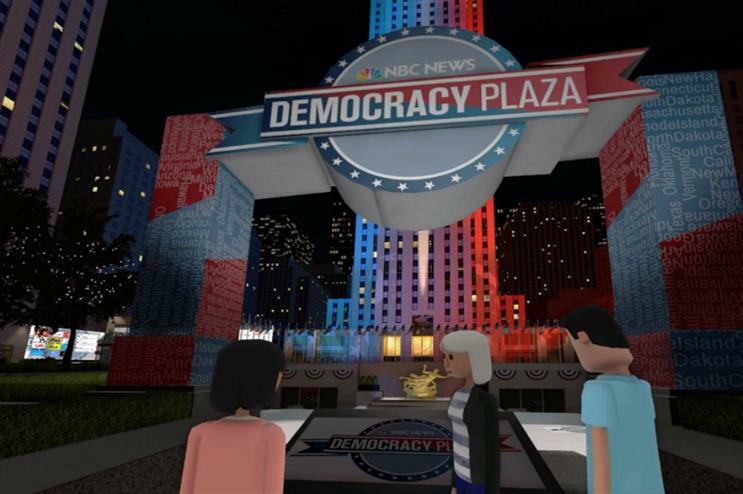 NBCNews.com partnered with AltspaceVR to launch Virtual Democracy Plaza yesterday (21 September) with a custom avatar of NBC's Al Roker who chatted about his favourite moments from the plaza and answered viewers' questions. The experience will enable anyone in the world with a VR headset to virtually visit the plaza from the comfort of their own home. The programme of virtual events, designed to be an interactive celebration of American citizenship and the country’s political history, will next host the first Donald Trump vs Hillary Clinton debate on 26 September. Viewers will be able to watch the debate while interacting with people from around the world. They can also choose to host their own watch party. More: Blog – Are we using VR for VR's sake?